I made a test that included these questions and let tens of thousands of Swedish Christians try it out. Only 300 people managed to get more than 60% correct answers. Clearly, these kinds of questions don’t show whether you’re a Christian or not. The Swedish Migration Board have defended the usage of questions like these, and they have claimed that their system is in accordance with the rule of law so that they can be confident that those who they deport aren’t real Christians. Now, we have proven them wrong. Last Wednesday, a report called "Inquiry into the Asylum Processes of Religious Converts in Sweden" was released. It was commissioned by four of Sweden’s biggest evangelical denominations and authored by various scholars and lawyers. They looked at 619 Afghan citizens seeking asylum in Sweden who are baptized members in Swedish churches. The report showed that 68% of them had their asylum applications rejected, even though their pastors in almost all cases insisted that their faith is genuine. Furthermore, the report shows that some Migration Board offices reject asylum applications far more than others, and that lay judges in the migration courts make their decisions influenced by political ideology rather than by following law and evidence. For example, lay judges belonging to the far-right Sweden Democrats party vote for deportation in 93% of cases, while lay judges of the socialist Left Party do the same in only 15% of cases. Ulrik Josefsson, who has a PhD in theology and is one of the authors of the report, called it a "complete lottery." At the press conference in Stockholm where the report was released, he concluded that the decisions from the Migration Board are arbitrary and challenges legal security for converts. In a qualitative analysis of the material, the researchers found that the Swedish authorities are not in line with contemporary research of what defines and characterizes faith and conversion. Baptism, active church involvement and the trust of pastors and priests means basically nothing when the Migration Board tries to discern "genuine" Christian belief. This is contrary to what religious studies have found, and so Sweden is thoroughly unscientific in this regard. 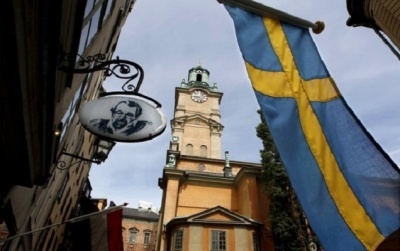 Most damaging, the authors of the report found that what did matter the most for the Swedish authorities is the ability to formulate and express one’s faith and answer knowledge-based questions like those mentioned above. This means that what they’re measuring is not genuine Christian faith, but intellectual capacity. Converts who passionately love and try to follow Jesus still get deported if they can’t express it in an sufficiently intellectual manner that the officials find pleasing. For that, Sweden sends them to their death. The report also demands that until these severe problems are adressed, all asylum processes involving converts should be paused, and those whose asylum application has been rejected needs to have a new trial. The Swedish government has previously recognized that the asylum process of converts needs to improve, but until now there haven’t been any evidence to suggest that it is a crisis. Now we know. Sweden deports genuine Christians to their death, and this needs to stop immediately. If the government fails to respond adequately, other countries and international organizations need to raise their voices and demand immediate change. A summary in English of the report can be downloaded here. Micael Grenholm is the editor-in-chief for Pentecostals & Charismatics for Peace & Justice and pastor of Mosaik Church in Uppsala, Sweden.